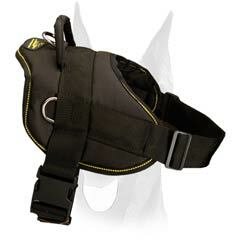 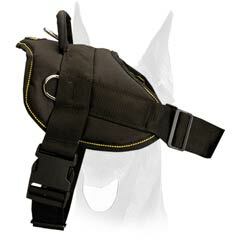 This fully adjustable nylon Doberman harness is light weight equipment made for all day comfort. 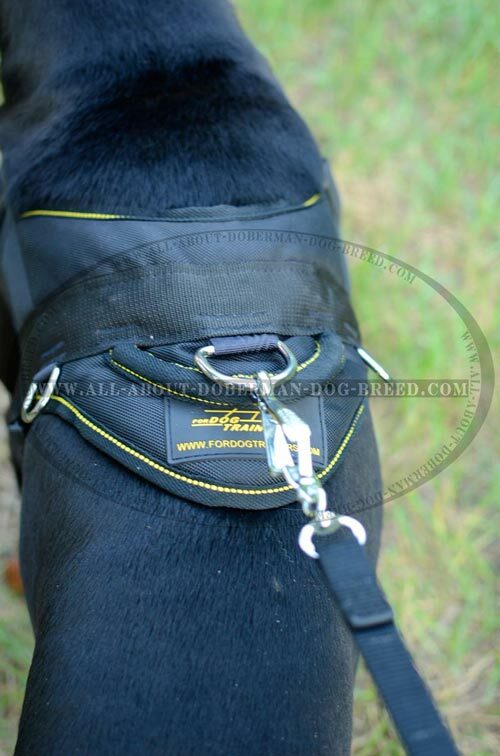 It will be totally quick and easy for you to get this harness on and off with the help of its quick-release buckle. 2 inch strong nylon straps help to keep it in its place. 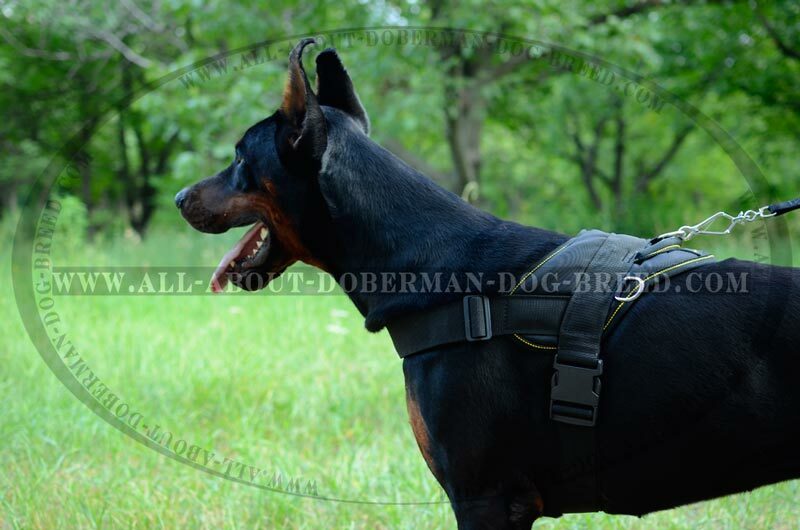 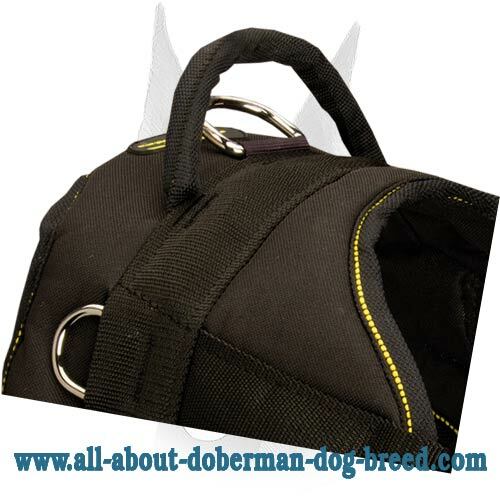 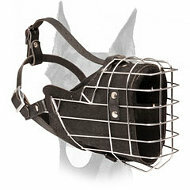 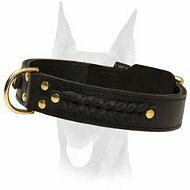 Adjustability means it will perfectly fit your Doberman, whether he is small or large, puppy or adult dog. This harness also includes special D-ring on the top to attach leash and for better handle and control. 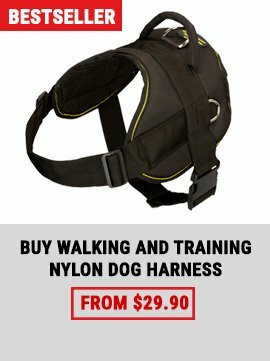 Strong nylon handle is indispensable during off-leash training. 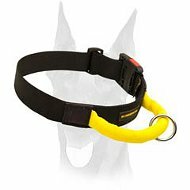 This nylon harness is created for long time lasting, it has approved its durability by many proffesionals and dog lovers all over the world. 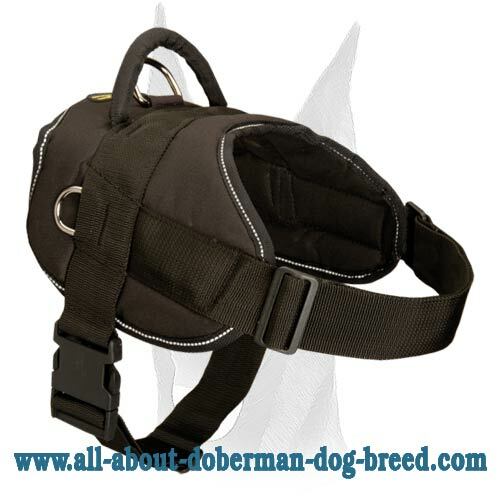 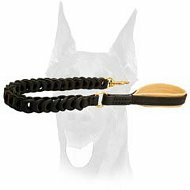 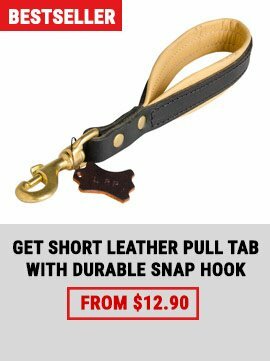 This harness is designed for long hours using, it is equally useful when walking or exercising your Doberman. 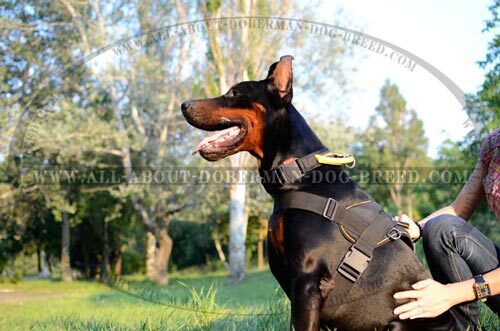 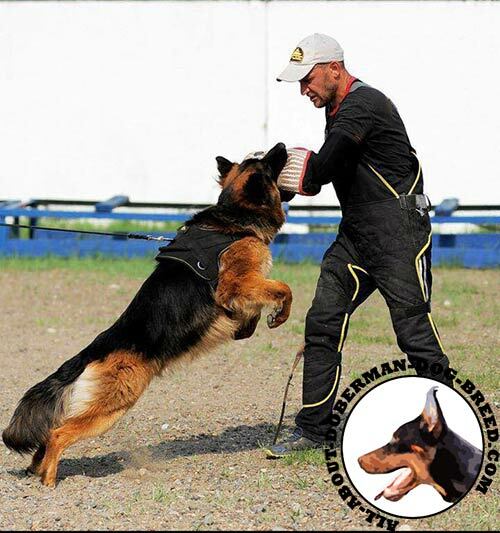 Beginning with everyday use such as walking and dog competitions to demanding activities such as police training and emergency rescue, this all weather conditions, multi-purpose nylon Doberman harness is the answer to all your requirements. You will be satisfied with the quality of materials we use, and your Doberman will only enjoy light weight soft comfy stuff. 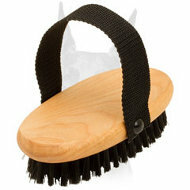 Easy to clean with a sponge and water. Impermeable to absorption (wetness won't cause rotting). 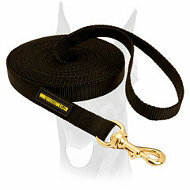 Super elastic in cold weather. 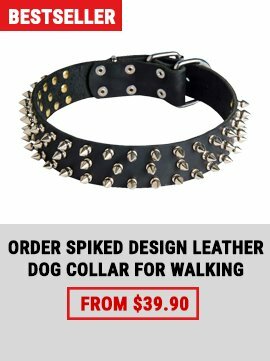 Fasten leash to the ‘D’ ring, if needed.